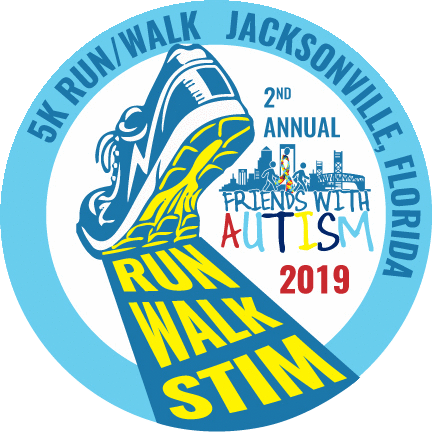 2nd annual friends with AUTISM 5K AND WALK and autism month kickoff. 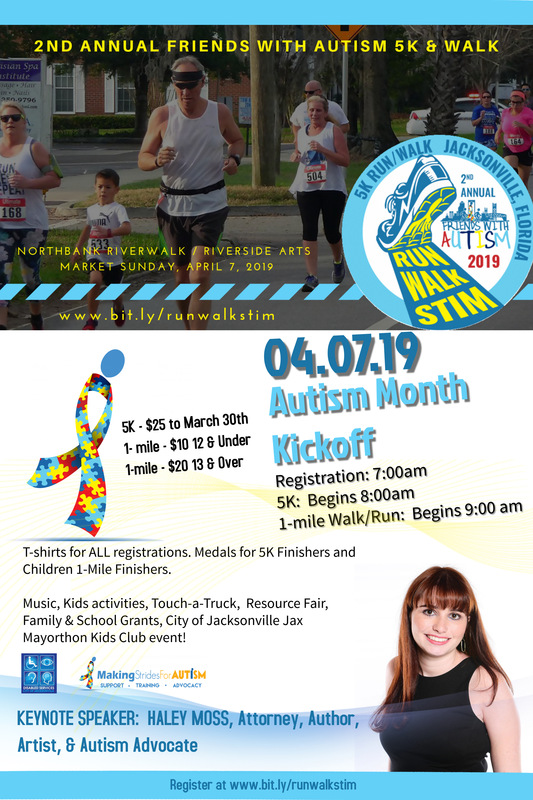 join us as we kickoff autism MONTH IN NORTHEAST, fl! 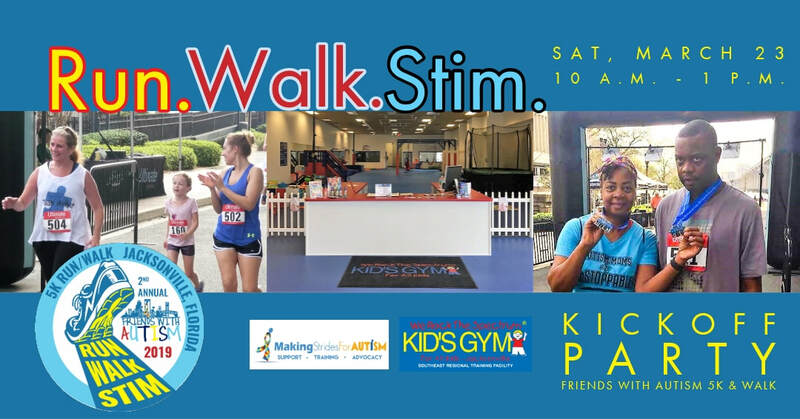 RUN, WALK, STIM! 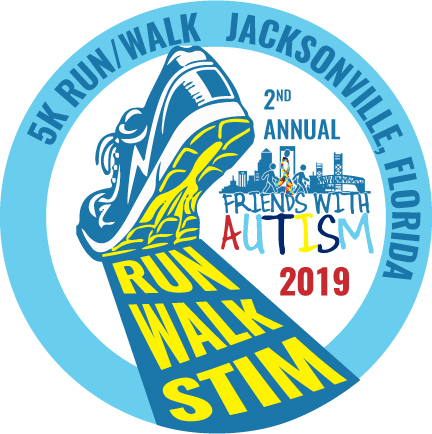 Our 2nd annual Friends With Autism 5K/Walk is more than just a Run and a Walk - it's a fun time for the entire community to come together and raise awareness and acceptance for families and people on the autism spectrum in Northeast Florida! Join other families as we kickoff Autism Month with a health/resource fair, music, children's activities, speakers, and so much more! ​When we raise awareness here... Funds raised will stay here! 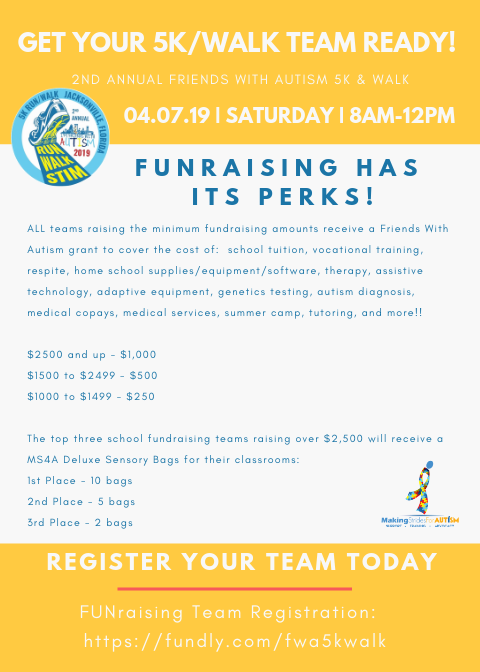 Funds raised will be returned to our community to provide direct services in the form of grant support, community accessibility, and advocacy for local families and people with autism. The health/resource fair of this event is free to the public. 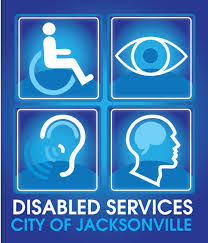 Place: Northbank Riverwalk/Riverside Arts Market Area, 715 Riverside Ave, Jacksonville, FL 32204. We are currently accepting event sponsors and vendors for our community resource fair. 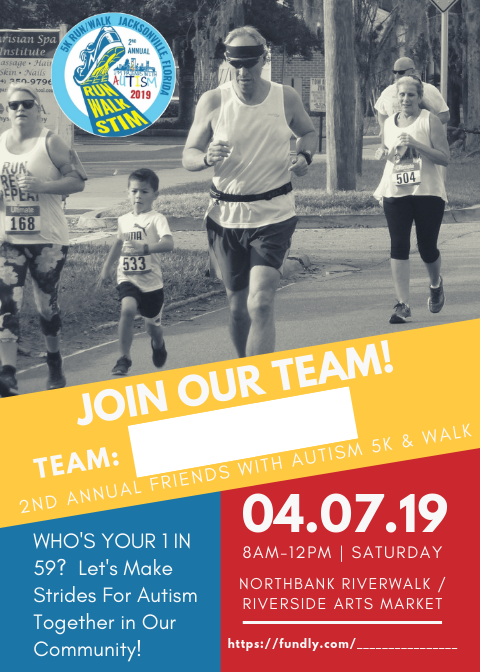 Please contact MS4A at info@makingstridesforautism.org for details and registration information. Runner & Walker Tools: See our Friendship Kit below! Race management provided by 1st Place Sports. 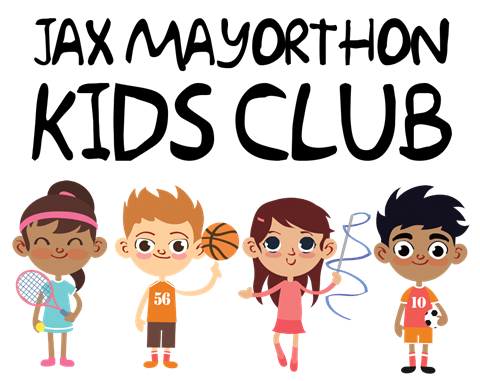 www.1stplacesports.com. 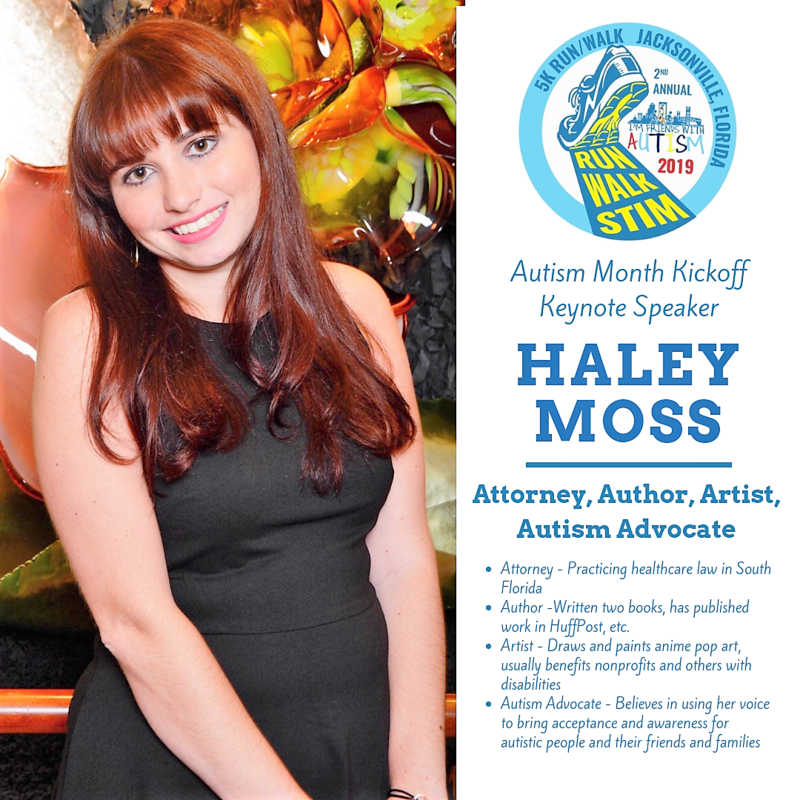 Making Strides For Autism is thrilled to announce Attorney, Author, Artist, and Autism Advocate Haley Moss as the Keynote Speaker for the 2nd annual Friends With Autism 5K/Walk and Autism Month Kickoff! Join us on Sunday, April 7th to meet this inspiring young lady. Support Businesses that Support Autism! 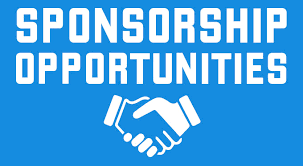 ​Become a Sponsor. 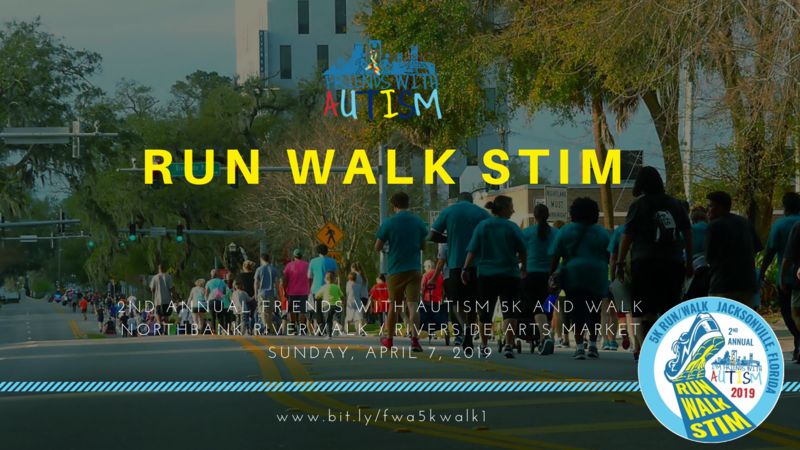 Email info@makingstridesforautism.org! join us for the event kickoff on Saturday, march 23rd at we rock the spectrum - Jacksonville!! Free Event!! Click Kickoff Photo for Event Details. 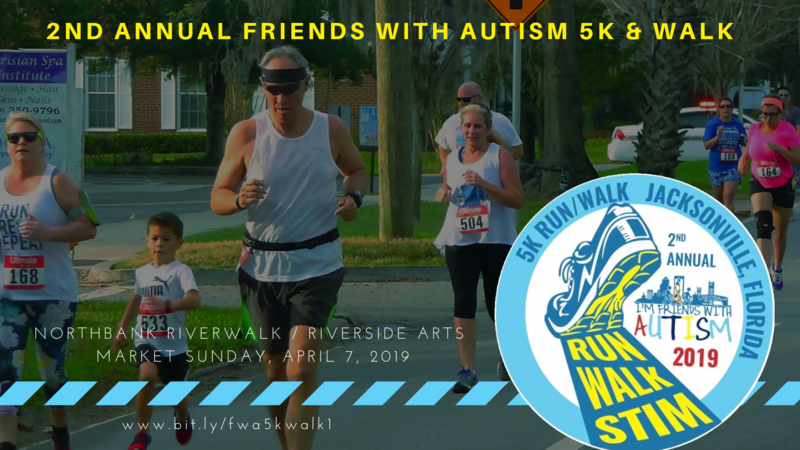 Use the social media tools, flyers and donation forms in the Friendship Kit to help spread autism awareness, acceptance and get the word out about your fundraising efforts for local families and people with autism! 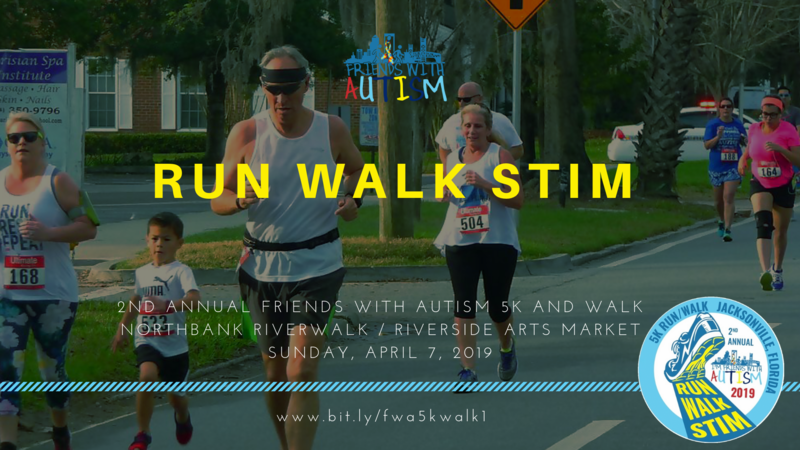 Click to download any of the forms and flyers on the below to help guide you through our fundraising tools, collect cash/check donations, find helpful fundraising tips and promote your Friends With Autism 5K/Walk campaign. 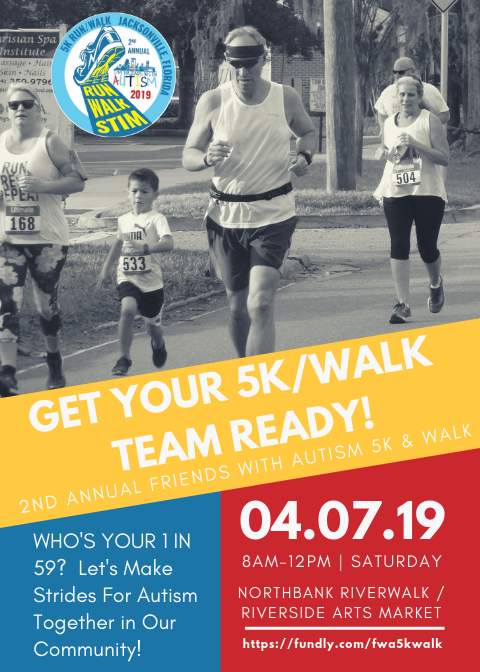 Post and share a flyer wherever you go to spread the word about the 5K/walk! * Use these tools to help promote your Campaign on Facebook. 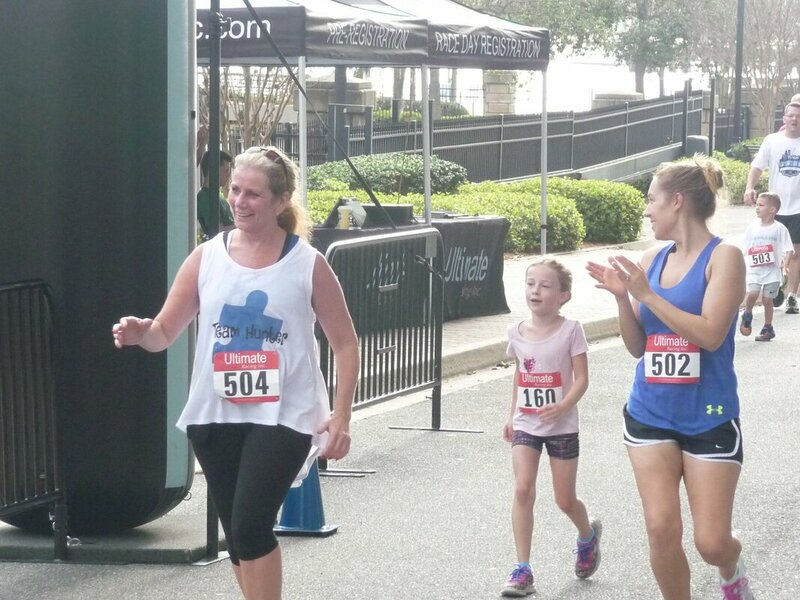 ​* Customize your Facebook page with our Friends With Autism 5K/Walk cover image. * Print out these “I’m Friends With Autism” selfie signs and write the name of who you are running/walking for or share your friendship with the autism community on social media. Help spread autism awareness and acceptance by posting a photo on social media. Make sure to tag Making Strides For Autism, Inc. and use the hashtag #FRIENDSWITHAUTISM to follow along with the fun!